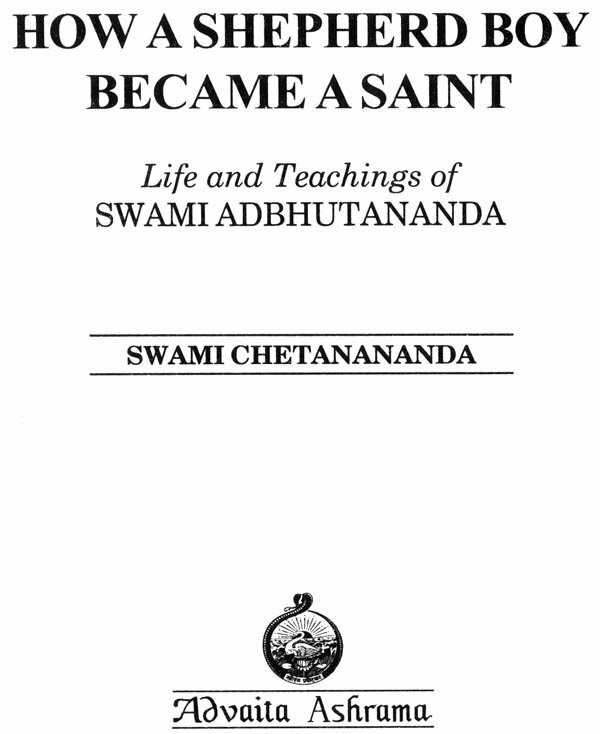 Swami Adbhutananda was the only unlettered monastic disciple of Sri Ramakrishna (1836-1886) this is the story of his transformation from the orphan boy Latu into a sage whose profound simplicity inspired easterners and westerns like. 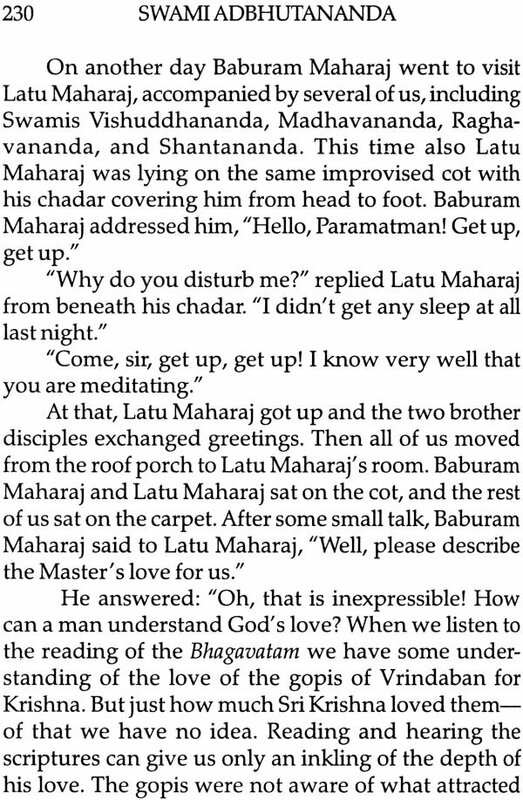 Latu is Sri Ramakrishna greatest miracle. Having absolutely no education eh has attained the highest wisdom simply by virtue of the Master’s touch. Latu Maharaj’s lack of formal education made him unique among Sri Ramakrishna’s direct disciples. Perhaps because his mind was uncluttered by intellectualism and not trained to doubt, he absorbed the instructions of his guru with unquestioning simplicity. Once the Master told him in an ecstatic mood, ‘One day the gems of the Vedas and Vedanta will pour forth from your lips.’ Thus Latu Maharaj was commissioned and blessed by his teacher. It would seem as though Sri Ramakrishna intended to demonstrate to the modern world through Latu Maharai that God can be realized without the study of books and scriptures, that spiritual wisdom comes not through intellectualism but through inner realization. The natural inclination of most mystics is to remain unknown to the world in undisturbed communion with God. And yet, their lives can tell us more about God than can whole libraries on religion, philosophy, and theology. When they teach, it maybe through only a few words or even through silence, for they are not talkers of religion; yet a few words from a great soul have been known to change the course of a person’s life. Those who are really seeking God will be drawn to the mystics, whether they are well-known or hidden from most of mankind. People may not see the flowers which are in full bloom deep in the forest, but the bees searching for nectar will be attracted to them. 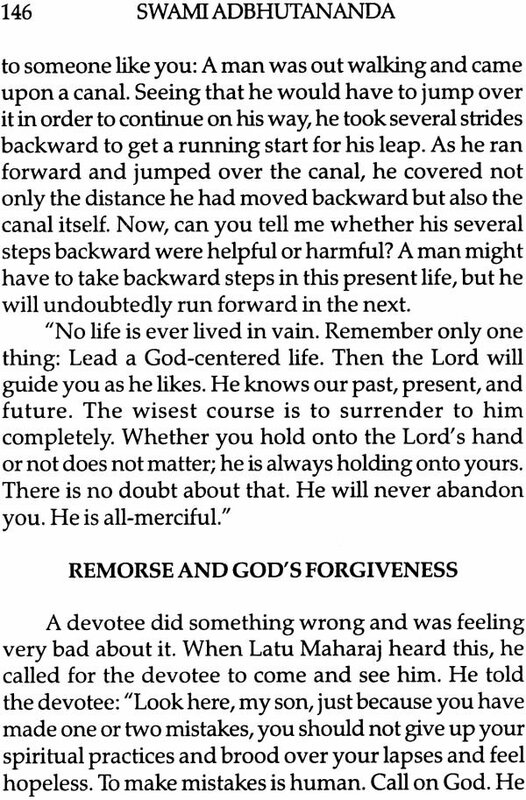 Swami Adbhutananda, familiarly and affectionately known as Latu Maharaj, was such a mystic. Through the divine influence of his teacher, Sri Ramakrishna, and under his careful training, this unsophisticated village boy became an illumined saint. Lath Maharaj’s lack of formal education made him unique among Sri Ramakrishna’s direct disciples. Sri Ramakrishna told him one day in an ecstatic mood, “One day the gems of the Vedas and Vedanta will pour forth from your mouth.” Thus was Latu Maharaj commissioned and blessed by his teacher. This prophecy later came to be fulfilled to the letter. 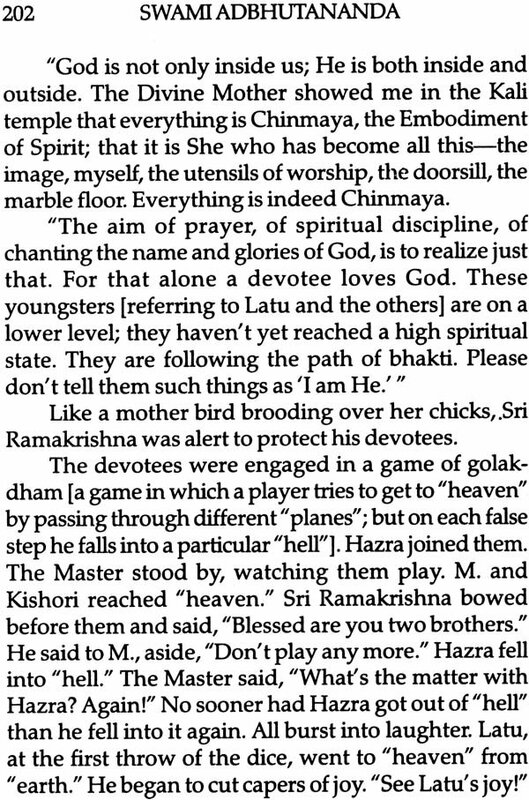 It would seem as though Sri Ramakrishna intended to demonstrate to the modern world through Latu Maharaj that God can be realized without the study of books and scriptures; that spiritual wisdom comes not through intellectualism, but through inner realization. As the flame of one lamp lights another, so one pure life inspires others. Those who associated with Lath Maharaj could not help but be inspired by him. He awakened the hearts of many people, teaching them how to love God and live in him. As Michelet wrote in The Bible of Humanity, “Man must rest, get his breath, refresh himself at the great living wells, which keep the freshness of the eternal.” Latu Maharaj was one such fountainhead of spirituality. Sharat Chandra Chakravarty could not carry out his desire, but later three important books on Latu Maharaj were written in Bengali: Sri Sri Latu Maharajer Smritikatha by Sri Chandrasekhar Chattopadhyaya, and Satkatha and Adbhutananda-Prasanga by Swami Siddhananda. 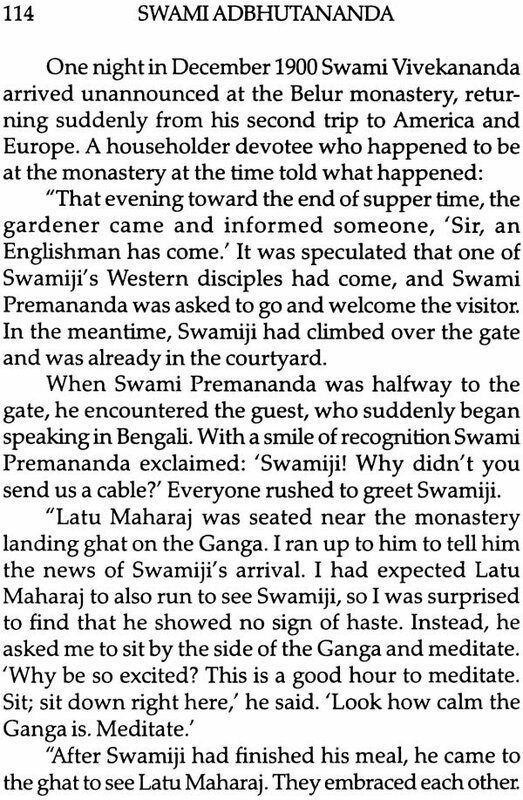 The first of these was translated anonymously and appeared serially in English in the magazine Vedanta Kesari (Ramakrishna Math, Chennai) from September 1962 to January 1967. I am indebted to this translator for inspiring me to venture into this project. I selected and translated material for the major part of the life and teachings of Latu Maharaj primarily from the first and third books. With a view to maintaining the same style and spirit throughout, I also retranslated those sections from the first book which had already appeared in English as mentioned above. 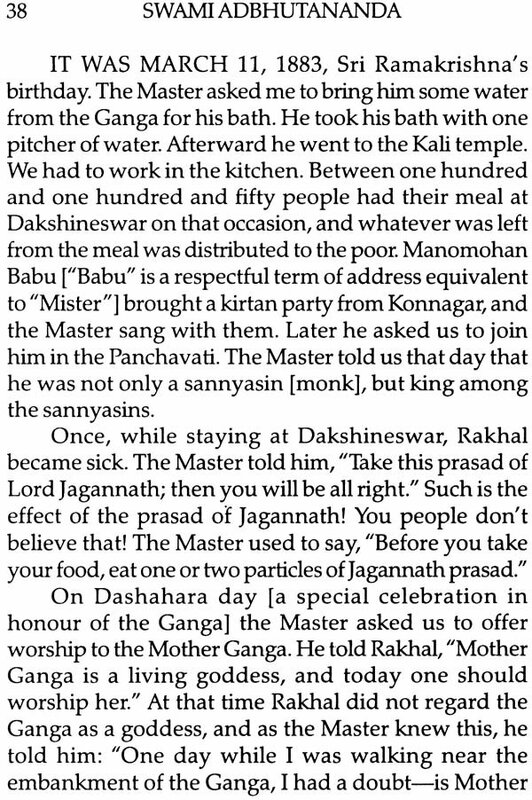 In addition, some reminiscences were taken from the Udbodhan, a Bengali magazine published by the Ramakrishna Order. I would like to thank the President of Advaita Ashrama, Mayavati, for permission to reprint Sister Devamata’s reminiscences of Latu Maharaj from the Prubuddha Bharata, and also the Ramakrishna-Vivekananda Center, New York, for permission to reprint excerpts from The Gospel of Sri Ramakrishna by “M.”, translated by Swami Nikhilananda. 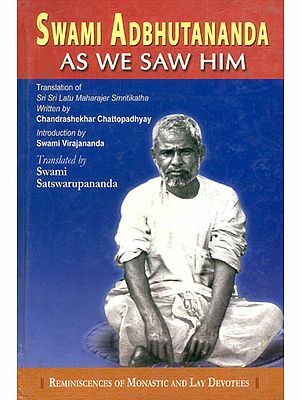 The book Apostles of Ramakrishna, edited by Swami Gambhirananda, was referred to from time to time for corroborating some of the incidents told in Latu Maharaj’s biography. I am grateful to Brahmacharini Sumitra and Clive Johnson, who helped me in editing and preparing the manuscript for publication.